The dog days of summer are great for spending time with your best friend, but the heat can be tough on our four-legged pals. Especially with Calgary seeing the fourth day under an Environment Canada heat warning, our pets can get seriously uncomfortable under their natural sweaters. Dogs also aren’t able to sweat the way people are, which puts them at higher risk of dehydration and heat stroke. But no worries! We’ve got a few suggestions for how to keep your pup hydrated and cool in the heat. Asphalt and pavement can get dangerously hot when the sun beats down on it all day and can burn the sensitive pads on your dog’s feet. Ever burn your feet at the beach? If it’s too hot for you, it’s likely too hot for Fido, too. If you’re out for a walk, try to stick to grassy areas or dirt trails. At this point, it should go without saying to never leave a dog in a hot car. Please, just don’t. If you’re out running errands on a scorching day, leave the pup at home. Many dog daycares have hourly and half-day rates if needed. Even if you are travelling in the car with your dog, it can still get hot as the sun pours in. Keep that air conditioning high enough that it’s reaching them in the back seat, and ensure you always travel with a supply of fresh drinking water. 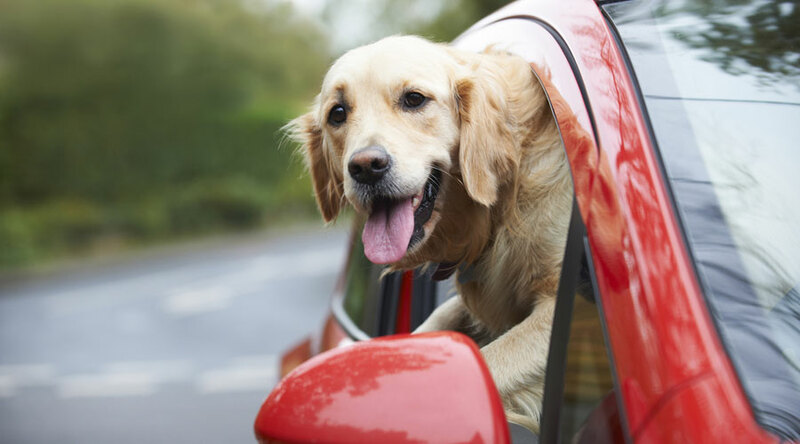 Letting dogs hang their head out the window is a great way for them to take in the breeze as well. 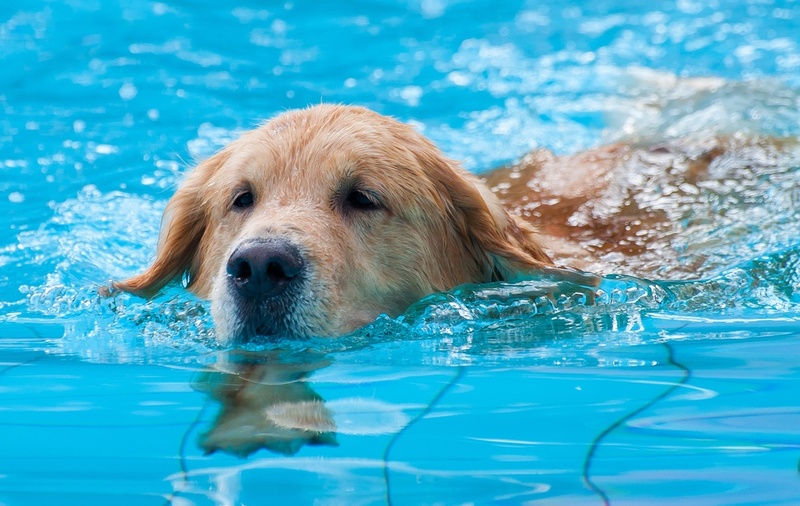 Swimming is a fantastic way to cool down your dog. Instead of sweltering on a hot sidewalk, why not take your pup to a local dog-friendly beach or lake where you can hop in, too? Not near a body of water? Fill up a kiddy pool and put it in your backyard. You can also hose Fido down, but make sure to get their stomach and paws too. Even a towel dipped in cold water and wrung out serves as a cooling mat for a hot dog. The sun is at its strongest between 10 am and 2 pm, which means it’s also the hottest time of day. Beat the heat by taking your daily walks either early in the morning or later at night, after the sun goes down. If your dog hangs out in the yard, make sure there’s a shady area for them to rest in so they’re not directly in the sun. Overweight and older dogs are especially susceptible to heat and have a tougher time cooling off. Ditto goes for shorter-snouted breeds like pugs and bulldogs. Don’t push it with exercise. Cut down on the intensity of your walks if you’re out during the hottest part of the day. Take your cues from your canine: if they’re panting rapidly and slowing down, that’s a sign to pack it in. Your dog can’t tell you when it’s overheated and suffering. 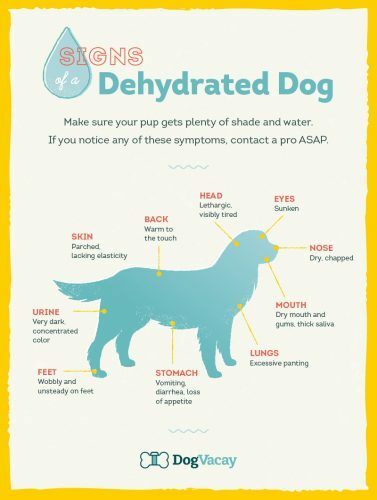 This handy guide from DogVacay.com illustrates the signs your pup is dehydrated and needs to cool off.